YUTONG boasts all kinds of machines needed for fan manufacturing, various testing equipment (for example, dynamic balancing machine) required to test manufacturing quality as well as different measuring instruments, meeting blower quality requirements. 4-72 Centrifugal Fan is mainly used in general factories and large-scale buildings for indoor ventilation, air exchange and handling of air and those gases which are non-pyrophoric, non-explosive, non-volatile, non-harmful for human body and non-corrosion for steels. Type B4-72 centrifugal fan can handle combustible and volatile gases; Type F4-72 centrifugal fan is mainly used to handle corrosive gas. 4-72 Centrifugal Fan is mainly used in general factories and large-scale buildings for indoor ventilation, air exchange and handling of air and those gases which are non-pyrophoric, non-explosive, non-volatile, non-harmful for human body and non-corrosion for steels. Type B4-72 centrifugal fan can handle combustible and volatile gases; Type F4-72 centrifugal fan is mainly used to handle corrosive gas. Adhesive matter is disallowed for Type 4-72, B4-72 and F4-72 centrifugal fans, and the dust and hard particle content in the gas should be no greater than 150mg/m3. The gas temperature shall not exceed 80℃. 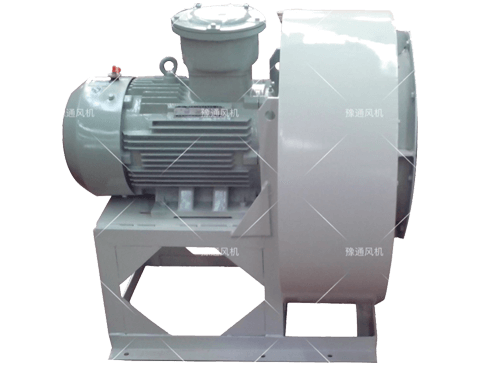 B4-72 and 4-72 blowers enjoy the same performance, optional parts and foundation dimension so B4-72 can use the sample for 4-72 blowers. Their structures are basically the same. №2.8A～6A fans apply B35 motor with flange plate and footing while №6～12C and №6～12D fans apply YB-series motors corresponding to Y series and B3 installation mode. Type F4-72 centrifugal fans are made of stainless steel, glass fiber reinforced plastics or other corrosion resisting materials. Their performance and foundation dimension are the same as Type 4-72 centrifugal fan. 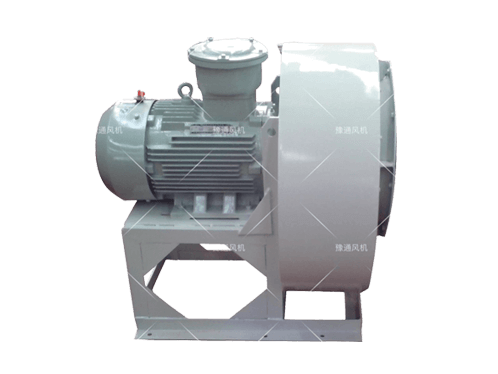 Type 4-72 centrifugal fan are among the first blower series used in China and the most popular types. They can be seen everywhere from high buildings to subways, from boilers for blasting to workshops for ventilation, from the Northern Frontier to the South China Sea Shore, from the Western Plateau to the Eastern Border Area. 1. Impellers- They consist of 10 backward aero-foil blades, curved impeller cover and plate-shape back plates. They are made of steel plates (B4-72 centrifugal fans use cast aluminum alloy). After passing dynamic and static balancing correction and over-speed running test, they enjoy high efficiency, stable and reliable operation and good performance. 2. For impellers---It can be made into two different types: The blower casing for №2.8～12 Blower is in integrated structure and non separable. The blower casing for №16-20 can be divided into three parts, namely, the blower can be divided into two parts horizontally; besides, and the upper half can be divided into two parts vertically along the central line and connected with screws. This enables easier putting or taking out of the impeller. 3. Air inlet -Being installed at one side of the blower in integrated structure, it is in curved shape with the horizontally parallel section and enables air to flow into the impeller easily with little loss. 4. Driving system -It is composed of main shaft, bearing box, rolling bearing, belt pulley or coupling.